Construction last year at the mouth of Waller Creek into Lady Bird Lake. That might lead you to think the tunnel won’t serve its purpose to divert floodwaters away from downtown Austin. But in interviews Friday, city staff said the tunnel should work fine. Despite the tone of the letter, in which the city demands $22 million back from the contractor – “the City will never be made whole,” one particularly dramatic line reads ­– staff at Austin’s Watershed Protection Department remain confident that the tunnel will still lift 28 acres of downtown real estate out of the 100-year floodplain. A 100-year flood is a flood so strong there is only a 1 percent chance of it happening in a given year. “Based on the current hundred-year design flow, yes, the tunnel should handle all that flow and keep the floodplain within the banks of the creek,” said Karl McArthur with the Watershed Protection Department. But, McArthur said, construction flaws will limit the tunnel's ability to handle floods even stronger than 100-year events. 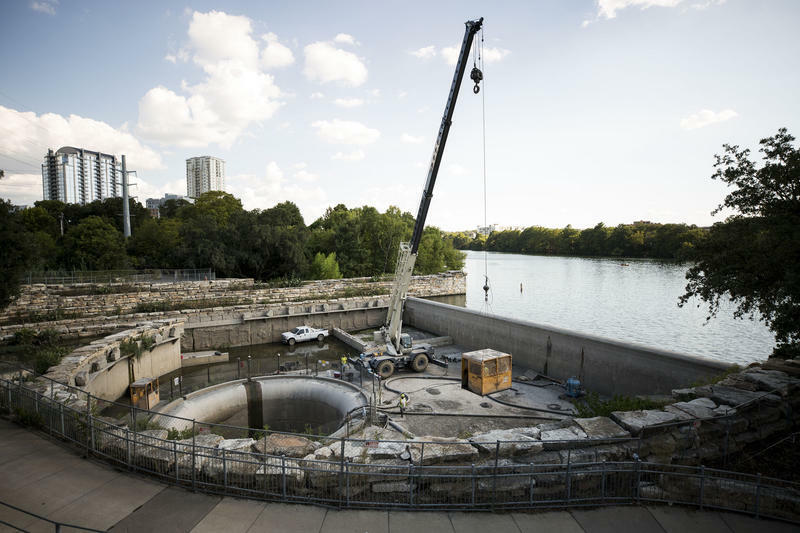 Over the past several years, Austin has spent more than $160 million on the drainage tunnel, which stretches underground from Waterloo Park to Lady Bird Lake. It justified the expense by pointing to the billions in development that could happen once the risk of flooding is removed. But the project has been beset by cost overruns and mistakes, including one component that blocked a view corridor of the state Capitol and had to be re-built, costing the city millions. Last summer city staff suggested those problems were behind them. They told KUT the project would be successfully completed by the end of 2017 and made no mention of the conflict that had already erupted between the city and S.J. Louis. “There was no intent to be misleading,” Richard Mendoza, director of Austin’s Public Works Department said when asked why the city had not made problems with the tunnel public. He suggested that the city and the contractor thought they could resolve the problems between themselves. “What I can say to the public is the tunnel is not going to fail. It’s not going to collapse. It’s working. It has been working," he said. "But it’s not the tunnel we paid for at the beginning." 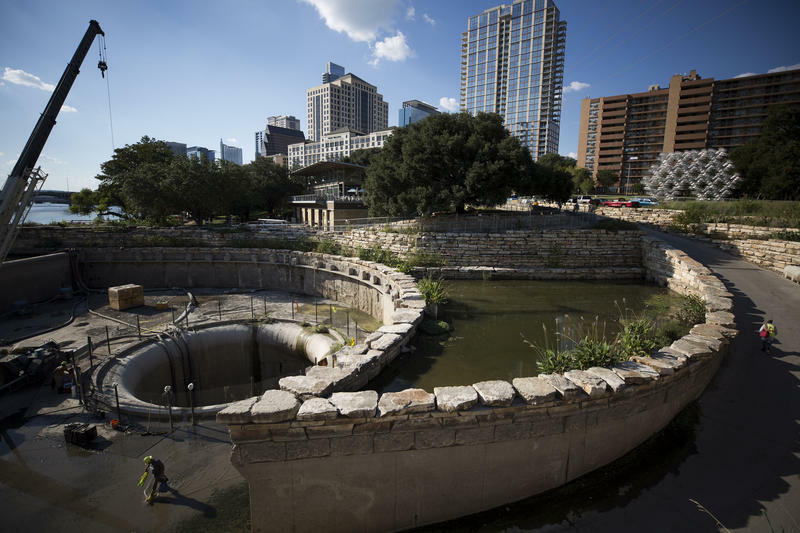 Once the city completes work on the tunnel and on a new floodplain study, it will submit a request to the Federal Emergency Management Agency to update the floodplain maps of downtown Austin. The city expects those new maps will reflect the reduced flood risk brought by the tunnel. McArthur confirmed that some buildings already have been planned – and even built – in anticipation of that reduced flood risk. Correction: An earlier version of this post said the primary purpose of the tunnel was "food" protection, instead of "flood" protection. If you find yourself walking on Red River near 12th Street downtown, stop for second. Glance toward the state Capitol and enjoy a view that cost the city millions. This is the site of the biggest snag in Austin’s ambitious plan to harness the flood waters of Waller Creek. But now, after nearly 20 year of work, the project may be close to complete. 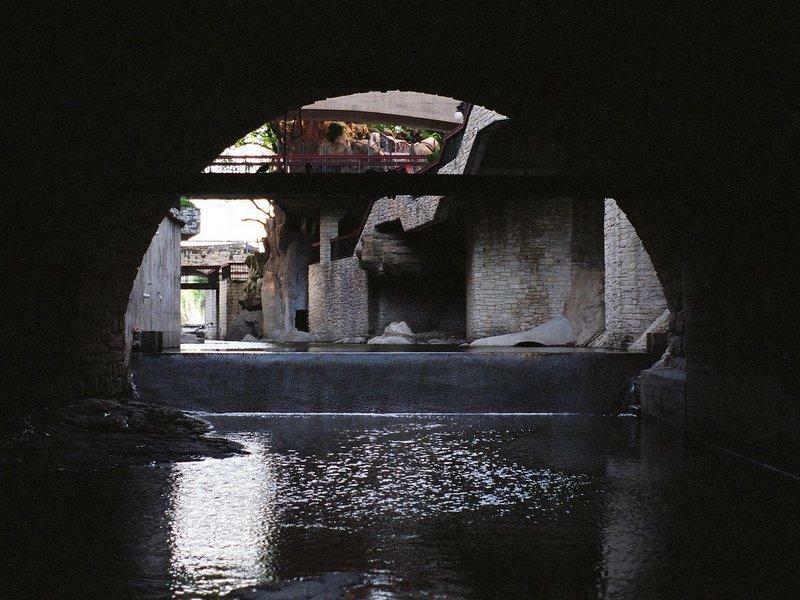 According to newspaper articles at the time, there were big redevelopment plans for the area, which sits along Waller Creek. There were even hopes that the space could become Austin’s very own version of the famed San Antonio River Walk. Of course, things didn’t really work out that way. A website that warns Central Texans about road flooding is getting an overhaul this month. The designers of the new site say the changes should give visitors more detail about flooding near them.